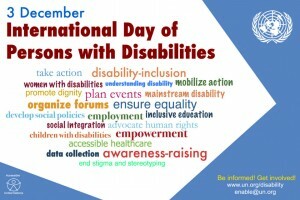 Today is International Day of Persons with Disabilities (IDPD). The event was conceived in 1992 by the United Nations General Assembly. Its aim is to promote an understanding of disability issues, galvanise action that addresses barriers to access for people with disabilities, and draw attention to the benefits of an inclusive and accessible society for all. This year’s theme is, ‘Inclusion matters: access and empowerment for people of all abilities’. It is about identifying and removing the barriers that can prevent people living with disabilities from going about their daily lives. It’s also about challenging attitudes, focusing on the ability rather than the disability of an individual, and promoting empowerment. The theme acknowledges that when people are empowered they are better prepared to take advantage of opportunities, and can become powerful agents of change. I am delighted that, in my first year as Civil Service Disability Champion, many government departments have organised events to mark this important day. I’ll be attending two notable events. The first is a panel discussion organised by the Civil Service Race Forum and KPMG, addressing the question, “Is the Civil Service good enough on diversity?” The second is Secrets and Big News One Year On. Organised by Kate Nash, a leading external networkologist, it will look again at what actions can be taken to help disabled colleagues be fully themselves at work. You can find out more about both events from Amy Jones (amy.jones@cabinetoffice.gov.uk). Activities like these provide fantastic opportunities to raise awareness of disability issues, acknowledge progress in the Civil Service on improving the workplace experience of disabled colleagues, and commit to taking further action to reach our shared vision of a truly inclusive Civil Service. This will clearly take more than one-off annual events. As Civil Service Disability Champion, I see it as my responsibility to make sure that there’s concerted action all year round and provide leadership to deliver real sustainable change. One particular barrier to inclusion that disabled colleagues have consistently mentioned is the lack of timely and appropriate workplace adjustments to meet their needs. We have sought to address this by launching a cross-Civil Service Workplace Adjustment Service in April 2015. 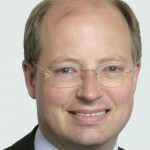 The team currently oversees workplace adjustments for five government departments (DWP , DCLG, DCMS, DfE and Government Legal Department), and is in discussions with at least two others. The team provides specialist expertise to deliver innovative solutions and resolve complex, longstanding cases. It also provides a full casework service for departments on anything from identifying new IT Assistive Technology solutions,to developing a Line Manager Best Practice Guide that will help build line-manager disability confidence. They’ve also developed a cross-Civil Service Workplace Adjustment Passport to facilitate a seamless transfer of workplace adjustments when disabled colleagues get a new line manager or move between departments. The Civil Service Workplace Adjustment Team also offers a ‘review’ service for disabled employees or line managers finding it difficult to secure workplace adjustments through existing departmental processes. This service is available to everyone, regardless of whether their department has signed up to the case-management side of the Workplace Adjustments Service. The review may involve an intervention by the Workplace Adjustments Team, which can, alternatively, simply provide specialist advice. It’s important to celebrate success and progress. So, I want to congratulate everyone whose work on the Positive Action Pathway Levelling the Playing Field programme helped win the Civil Service a bronze award in the Best Public Sector Programme category at the Annual Training Journal Awards last week. This is a prestigious and highly competitive industry-standard training award. It provides external recognition that the Pathway is an excellent ‘best in class’ programme. You can find more information on the Positive Action Pathway (including details on how to apply) here. Finally, I want to highlight the achievement of the Defence Stammering Network, which was singled out at the Employers Stammering Network event on 26 November, for its excellent work helping colleagues who stammer feel more confident and be themselves at work. The Civil Service was also congratulated for joining the Employers Stammering Association. This provides civil servants in every department with access to best practice information, and helpful tips on how to talk about stammering. If you would like to know more, please contact Amy Jones.